NEW DELHI—On February 23, the Delhi High Court directed the Special Investigation Team (SIT) to produce the timing of all the FIRs (First Information Report) registered against Sajjan Kumar after the genocidal violence against Sikhs in November, 1984. Notably, the Special Investigation Team (SIT) was appointed by the Narendra Modi led Union government of India in February-2015 to re-probe the Sikh genocide cases. The High Court bench headed by Justice S.P Garg directed that the SIT must have investigated the cases in which Sajjan Kumar was involved and it must have the detail of timing of FIR’s registered against Sajjan Kumar & other culprits. 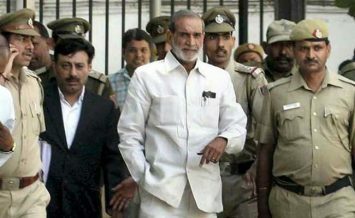 It is learnt that the Delhi High Court has expressed concern over the involvement of Sajjan Kumar in all the cases. The Court has also directed the SIT to produce the copy of a trial court verdict by which Sajjan Kumar was acquitted of all charges. The court has also directed the investigating team to show the copy of charge sheets filed against Kumar and others in connection with the killings on people in 1984. It said the documents shall be produced on March 14, the next date of hearing. The directions were issued to the probing agency after it failed to inform the court about the timing of the two FIRs out of 10, registered against the Congress leader. Additional solicitor general (ASG) Sanjay Jain, appearing for the SIT, informed the court that 10 FIRs were registered in Delhi against Kumar after the assassination of then Prime Minister Indira Gandhi. He revealed before the court that the timing in each of the FIRs were different, which pointed towards the involvement of the Congress leader. The ASG made the submission during hearing of its application seeking cancellation of the anticipatory bail granted by the trial court on December 21 last year in a case of killing of three Sikhs.